Transformers is designed to provide a strong understanding of transformers. 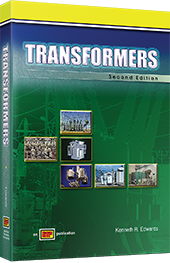 The textbook presents basic transformer operating information, transformer construction, and transformer classifications. Information is presented in an open, contemporary format. Updated topics include electrical safety, NFPA 70E®, insulation resistance, and high-voltage testing. For additional resources, click here the link below to access the ATPeResources.com web page for this product.